Paintless Dent Repair, also known as PDR, is the best course of action when repairing minor dents or dings. It is a cost-effective solution to minor, unsightly damage caused by shopping carts, hail storms or other unexpected bumps in the road, as it does not require the expenses involved in sanding, body fillers or keeping the original finish of your car. 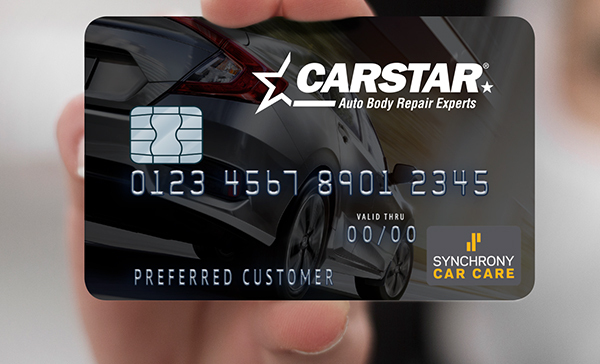 CARSTAR’s highly trained technicians will be able to evaluate the size and location of dents (or other types of damage) and assess whether or not this technique is appropriate to repair your vehicle. This is typically a two-to-three day repair. CARSTAR technicians will carefully assess the damage to your car and determine whether paintless dent repair is the best course of action. This greatly depends on the location and size of the dents or creases, as well as the extent to which the paint has been stretched. You will be presented with a detailed repair plan which will also include any other type of repairs needed. If the assessment determines PDR is a feasible solution for your vehicle, then our experienced technicians will either push out the dents from the metal panel, or use specially designed tabs to pull out the dents from the outside. In all cases though, the metal is manipulated in precise locations, using a PDR reading instrument called a paintless dent repair light. Quick Turnaround: Using advanced, special tools, our expert technicians will be able to pull dents out of the surface of your car, while avoiding damage to the overall paint. We’ll be able to get you back on the road within 2 to 3 days. Affordable Options: Our technicians are highly experienced in PDR and will provide it as an option if possible. Since it does not involve sanding or body fillers, it can significantly reduce the repair costs. Quality Assessment: Upon completion of any paintless dent repair, CARSTAR will conduct quality assurance inspections to make sure the car is returned to you in excellent condition. Paperwork Assistance: From liaising with your insurance company to arranging a car rental and finalizing paperwork for warranties and more, we will take care of everything for you. Expert Assessment: PDR requires a thorough and professional assessment of the vehicle. It is crucial to locate all damage and establish what can be fixed through this method based on the extent of the dents or creases and whether the paint has been stretched too much. 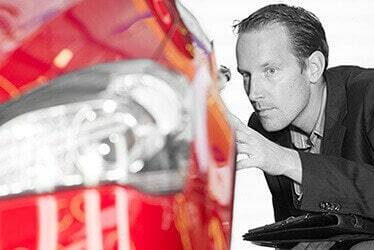 Skilled Technicians: Paintless dent repair is based greatly on manual labor. 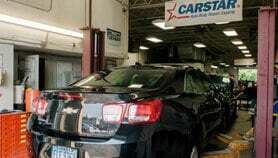 It’s usually focused on minor dings, but highly skilled technicians have a better chance repairing even larger dents. There are many factors that influence whether or not PDR is a feasible solution, but skilled and experienced technicians can certainly tip the balance. Keeping You Informed: Our repair process is not a black hole, so you don’t have to worry about what is going on with your vehicle or if any surprises await. We guarantee full transparency and to keep you updated at all times. Round the Clock Support: Whether you have questions about PDR, other services we offer for your car, or how we can help with insurance and warranty, we are here to answer all your queries and support you in any way we can. What exactly does Paintless Dent Repair involve? What exactly does Paintless Dent Repair involve? Paintless Dent Repair, also known as PDR, involves technicians manipulating the metal in precise locations in order to fix minor dents or dings on a vehicle’s body. These can be either pushed or pulled out depending on the location and size of the dent. When can I choose PDR? When can I choose PDR? 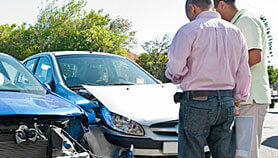 You can choose paintless dent repair upon the recommendation of your technician following damage assessment. Not all dents and creases can be fixed with PDR, which is why thorough assessment is needed. Factors that impact the possibility of choosing paintless repair include the size of the dent, the location and the extent to which the paint has been stretched. Is there a size limit for dents repaired with PDR? Is there a size limit for dents repaired with PDR? Yes. The size is definitely a factor that determines whether or not paintless dent repair can be used, but it varies greatly and this can be from the size of a dime up to the size of a half dollar or even larger. What also greatly impacts the process is the relationship between the dent’s depth and diameter. Sometimes larger dents can be repaired through PDR if they are shallow and smaller dents cannot if they are extremely sharp. How long does paintless dent repair take? How long does paintless dent repair take? 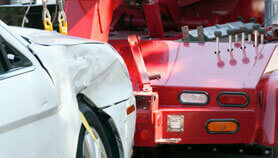 The PDR does not require body fillers or painting, which makes it a lot faster than conventional repairs. It can take anywhere from 2 to 3 days, but we’ll keep you updated with any developments. How much does it cost? How much does it cost? Due to the fact that paintless dent repair does not involve color-matching, painting or body fillers, the cost is greatly reduced as compared to conventional repair. Still, it depends on the initial damage assessment as it can involve various numbers of labour hours. Will the dents ever reappear? Will the dents ever reappear? No. PDR involves the realignment of the metal’s molecular structure and metal has a memory, which means the shape will be maintained. Does it impact the value of my vehicle? Does it impact the value of my vehicle? No. The process removes the damages on your vehicle’s exterior without disturbing the finish. Since no painting is required, the value of your vehicle will not decrease. Is PDR eco-friendly? Is PDR eco-friendly? Yes. Due to the fact that the process does not involve painting, no noxious paint fumes or volatile organic compounds will permeate the ozone layer. What’s more, there is no risk of paint thinners accidentally being washed down into the public drainage system.